Four Georgia farmers changed history a few years back when they created Georgia Olive Farms in Lakeland and became the first growers of olives east of the Mississippi River since the 19th century. The Spanish introduced olive cultivation to North America in the 1700s, and it once was substantial in South Carolina, Georgia and Florida, but war, weather, and changes in agriculture killed the industry. Three olive varieties grow in Georgia Olive Farms’ orchards, and the groundbreaking farmers produce Extra Virgin Olive Oil or EVOO. They take the fruit from field to mill in less than 24 hours and collect oil only from the first pressing. Big-name chefs, including Sean Brock of Husk in Charleston, Linton Hopkins of Restaurant Eugene in Atlanta, and Alton Brown of the Food Network, use it daily. 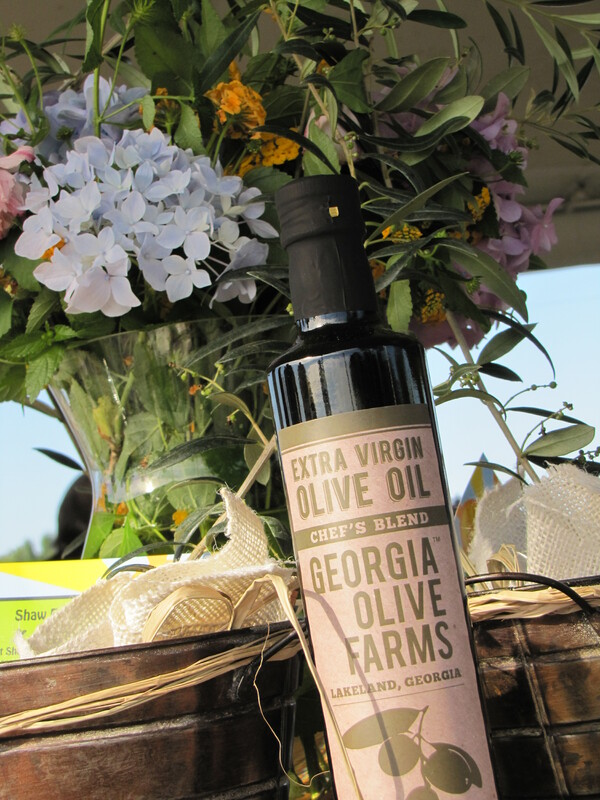 Georgia Olive Farms offers two EVOO varieties – Arbequina and Chef’s Blend. The Arbequina is the rarer of the two, crafted in limited quantities each harvest. It is a 100 percent Georgia product, while the Chef’s Blend mixes buttery-tasting Arbequina oil with nuttier and spicier Koroneiki oil from Georgia and California.